Our mobile phones have become an inseparable part of our lives. The last thing that any of us wants to imagine is that we drop our phone and end up with a needed broken cell phone screen repair. With our smartphone, we can now surf the web, log onto our social networking websites, send email, some cell phone owners run credit card transactions, and for a few of us, we completely run our entire business all via that mobile device that most of us keep in our pockets. What if the Smartphone Screen Breaks? But, what happens if you are just quietly going through your Twitter feed and before you realize it, the phone just slips through your hand and not without much more surprise, the screen shatters to a thousand pieces. The feeling that the owner is filled with cannot be understood by people who have not gone through similar. Cell phone manufacturer warranties usually don't cover accidental damage, like dropping your phone while walking and texting, so to be honest, you may have some difficulty in obtaining a free repair under your warranty for a cracked cell phone screen. In need of broken cell phone screen repair? Come to Mobile King. 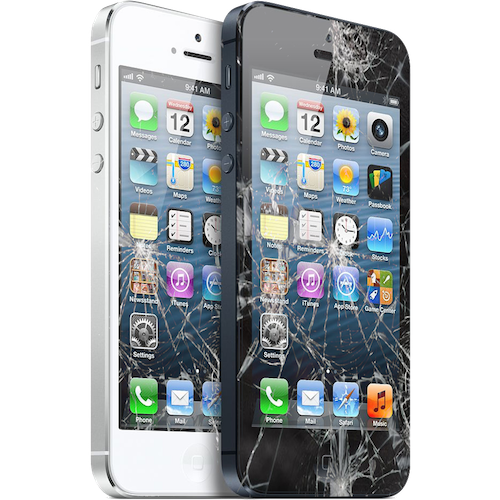 If you are in need to have your broken smartphone screen repaired for your smashed cell phone, you need to be sure that you trust your broken cell phone with the best cell phone repair company in the industry. This is the reason why we insure that our engineers and the technical team to become the best cell phone screen repair specialist in the country. At Mobile King, our broken phone screen repair experts have gained the skills over the years and can give you the kind of customer service and smartphone screen repair service you will appreciate again and again. Give us a call at 317-835-9772.